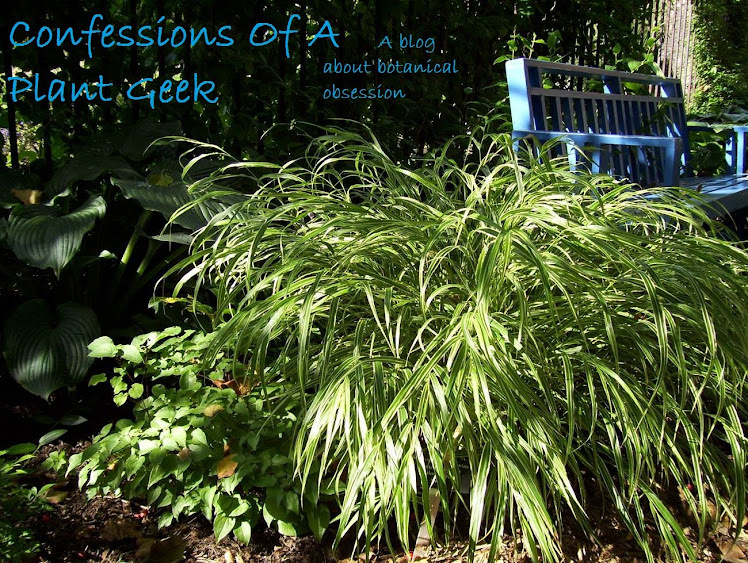 Confessions Of A Plant Geek: You've got mail! So I finally mosied out to the mail-box today, I was pretty lazy about it since Thursday is junk mail day. However I got this big white plastic mailer bag. In case you can't read it well... it's from Spring Meadow Nursery. The Proven Winner Colorchoice Shrub peeps. Nifty... what could it be??? Cool a Tshirt... I can always use more of those! But wait... there's more to it... the front says Plant Geek! I think they were thinking of me when they made this shirt. And a Plant Geek pin! Best mail I've gotten in a month! Thanks to Stacey Hirvela, admin for the Proven Winners ColorChoice Facebook page for sending me this cool loot!